As a #streamteam Netflix blogger, I have received product to facilitate this post. All opinions are my own. I have not received monetary compensation. The kids and I have embarked on several mini adventures this summer - none involves meeting dragons or magic, but we did go to an island. While we wait for the sun to shine, the kids have been watching as Jay Baruchel and America Ferrera return to Berk as the voices of Hiccup and Astrid. 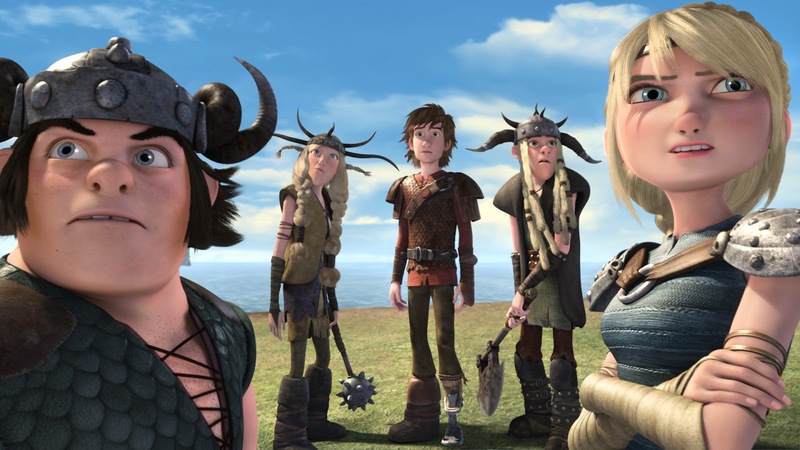 Dragons: Race to the Edge, a Netflix Original series, takes place between the first and second How To Train Your Dragon films. This is like the "college years" for Hiccup and his friends and they are developing their skills as well as their strength when they discover the artifact known as the Dragon Eye on board an abandoned ship. The Dragon Eye will take the dragon riders from their home in Berk to the island of Dragon's Edge, where they meet new dragons and discover how Stoick meets his Rumblehorn dragon, Skullcrusher. We also find out where the villain Drago Bludvist comes from. The kids and I have decided to take our Toothless and Hiccup on a Cleveland adventure; sharing it on Instagram. I hope you follow along! 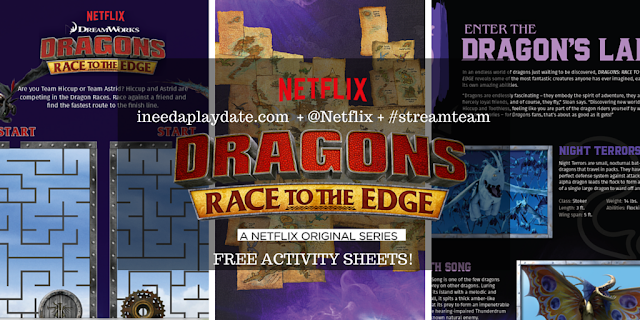 While you wait for the next post, here are some fun free activities to share with your dragon riders! Have you been keeping up with the Dragons and their riders?